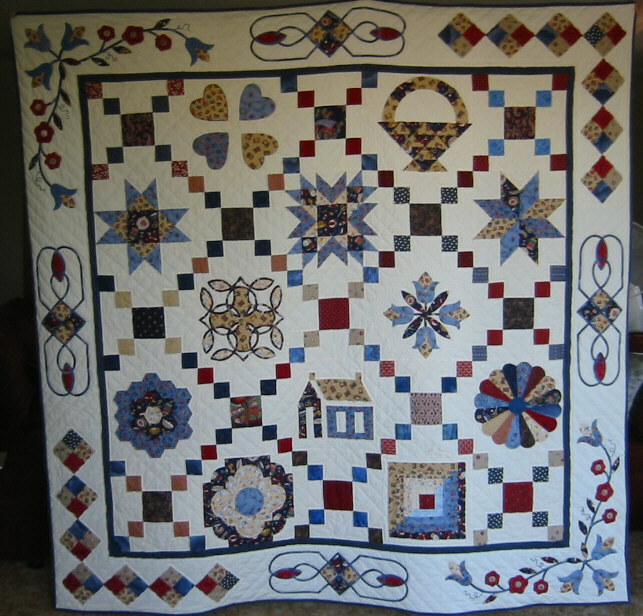 Scrap Sampler quilt, called “Scrappy Notions” , it includes English paper piecing, celtic bias hand work, needle turn applique, paper foundation piecing, machine piecing and hand quilting. Queen Size quilt. 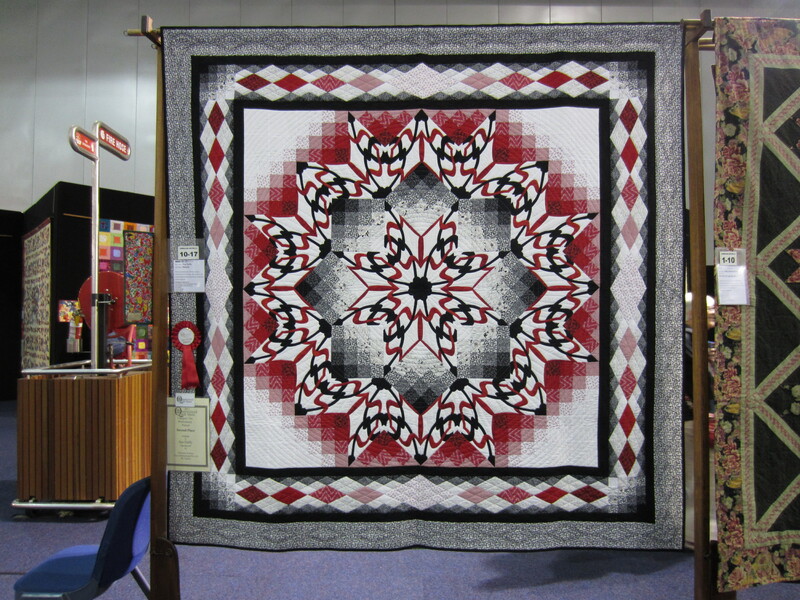 Made for my nephew and his bride, this quilt won 2nd prize in it’s Category and also Viewer’s Choice at the 2011 Queensland Quilt Show. My friend Marg. Mc Beath put me onto your website; your work is amazing . I love it. Keep in touch Sue. You inspire a fellow quilter from across the Tasman. Hi Janet! thanks for visiting, and I am glad you have enjoyed seeing some of my work. I am trying to blog a bit more often and will endeavour to make it interesting, not too much chatter but a few photos! Maybe we can catch up next time I am over your way! Are you going to publish this design and sell it retail??? No, sorry, I have no immediate plans to write instructions for this quilt – although I have considered it previously. It’s a pretty time consuming task 🙂 but perhaps I should reconsider! thanks for the query. Thank you! Still love to do a bit of piecing and applique now and again.